What to do if Maintained JCO Connection is Disabled. 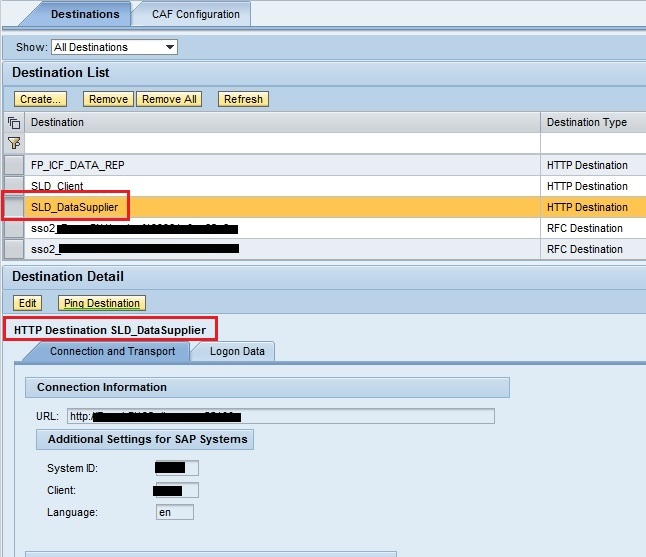 Create Jco Connections button Disabled. 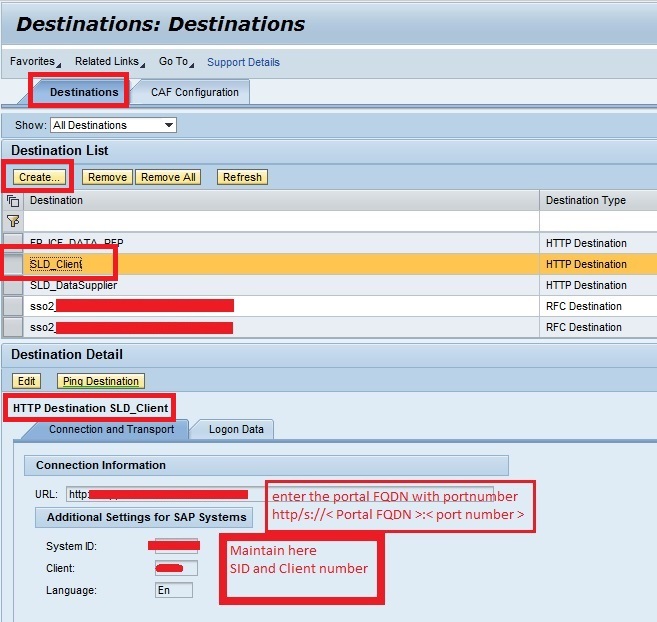 Create JCo Destination , Maintain JCo Destinations are disabled on portal. This Post discusses about the Enabling of Maintained Jco's Connetions. 1) First step to do is Check whether Administrator or J2ee_admin user account are locked (User id maintained when defining SLD ). you can check this in NWA/Visual Administrator. 2)Go to the transaction SU01 and check if the SLDUSER/SLDSUSER is locked. 3) Check whether user maintained in Visual Admin->SLD Data Supplier is locked. 4) Check the Administrator authorization also may be miss match off password for administrator in Visual Admin and Portal. 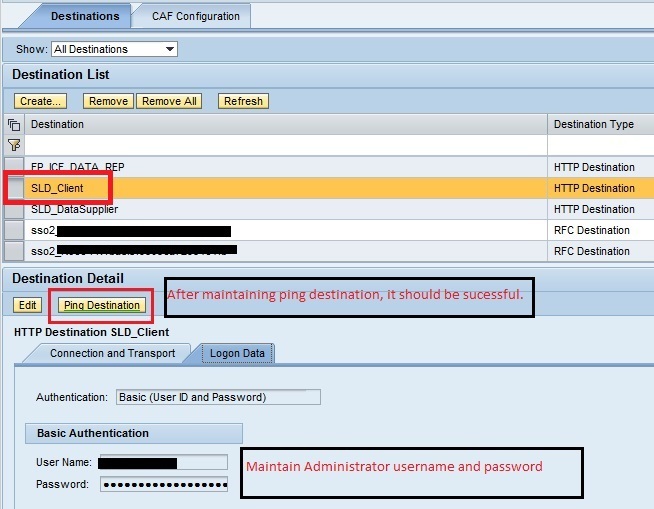 You have to login to the Visual Administrator then goto Services -> SLD Destinations -> specify the J2EE host name and port, userid and password and Trigger the Data Transfer. follow the Post installation guide for more details. 6) Open the Visual Administrator and navigate to Server -> Services -> SLD Data Supplier. Then, click on the http tab and input the host, port, slddsuser ID and password. Click save and this should connect you to the SLD. After that, you can maintain your JCo Destinations. Basis Guys need to do some Configurations before you proceed with creating JCO. 2. Call "Administration" - "Settings". 3. Choose the section "Server Settings". 4. Enter a new, valid value for the parameter "Object Server". 5. Click "Save" to save the changes. Provide username and password and port for SLD in the Visual Administrator. For that log in to Visual Administrator and under server -> services -> SLD Data Supplier select the Tab CIM Client Generation and mention the user,password, port and host. After that in the SLD import the CIM content files and create a technical system. 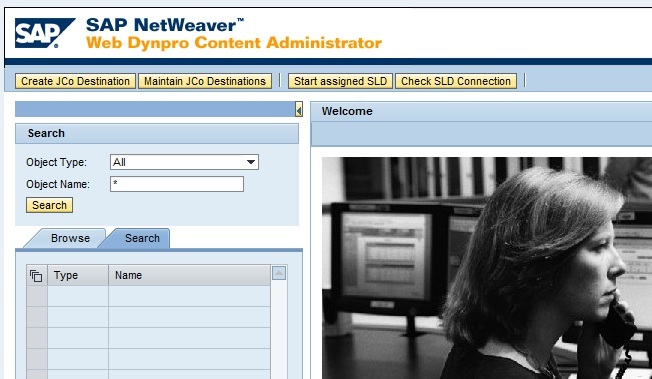 Then in Webdynpro Content Administrator create the JCO Destinations. Below link post is not visible. Can u pls do the needful. I am looking this configuration.